You've no home planet, no influence, nothing! You're just a pathetic bunch of tin soldiers skulking about the galaxy in an ancient spaceship! The Doctor, Sarah Jane Smith and Harry Sullivan arrive at the Nerva Becon several hundred years before it becomes the home of the human race. The Doctor soon discovers that his old foes, The Cybermen want to destroy the planet of gold, Voga. The Doctor, Sarah and Harry must defeat the Cybermen before they can once more become the most powerful force in the universe. The beginning of this story is reminiscent of the beginning of a David Bowie video. The Doctor, Sarah and Harry are floating in front of a space station in the worst green screen effect I’ve ever seen. 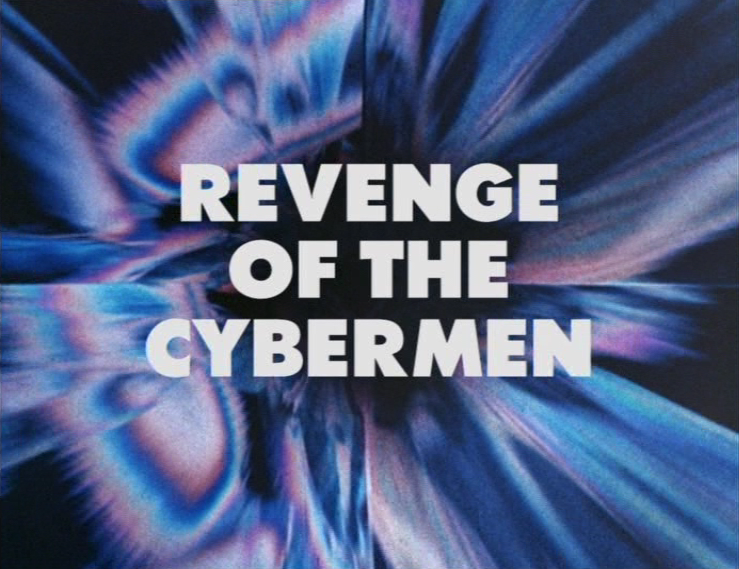 Revenge of The Cybermen is an odd mixture between action adventure and silliness. The whole affair is very 70s, although that is not a bad thing. Looking at it as a period piece is it very good. However, when we scratch the surface and compare it to more modern stories, it does not fare as well. BBC America has been doing a pretty good job delivering some top notch 'original' programming of late with Copper, Ripper Street and now Orphan Black. The show is filmed in Canada (as are most good sci-fi series it seems) and is about a woman, Sarah, who witnesses the suicide of a woman who happens to look just like her. Sarah is desperate and needs money so she steals the dead woman's purse and eventually her identity but soon cannot get away of the intrigue involved with the dead woman's life. It gets even more complicated when Sarah comes face to face with yet another look a like. 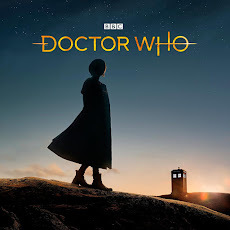 So here we are the return of Doctor Who after a little break and now we can look forward to new stories for the next eight weeks. The Bells of Saint John is the first one that starts off all the excitement and after all the previews and interviews we now have had a chance to see the episode with high hopes that it will be great. So did the Bells of Saint John get the ball rolling and get our excitement meter on high and greatly fuel our anticipation for the next seven stories or was it a gutter ball and have all the fans doing a collective face palm giving us that dreaded feeling of dismay that the next seven might not be up to snuff. So can Doctor Who's second half of season 7 build upon some stability of excellent stories and less frazzled mayhem that plagued season 6? The Christmas special – The Snowmen did have some great ideas and moments but the series appears to never want to stop expressing its political and social opinions while also having the need to tell us what to think and not allow its viewers to do it for themselves. Having characters literally facing the camera and telling us that the Doctor is great, traveling with the Doctor is dangerous and that aliens and strange happenings, even in Victorian years is okay and most people are fine with it no matter what is not what I want to see in Doctor Who. Allow me to think for myself and enjoy the adventures without constantly being told with winks and nudges all the time. One criticism of old Who was it took itself too seriously but new Who seems to be full of itself. Anyhow, despite the attempt to make Doctor Who self indulgent and almost an advert for the series itself, the show seems to be trying to make some good stories and Asylum of the Daleks, The Angels Take Manhattan and to a degree A Town Called Mercy all were pretty good and The Snowmen had Jenna Louise Coleman and Matt Smith in an excellent chemistry mix that overshadowed the biting snowflakes and ludicrously mishandled Vastra and Jenny. Hopefully this second half of the season will improve it's good story count. Does The Bells of Saint John add to the good count? Two Trailers For Doctor Who "The Rings of Akhaten"
Here are two trailers for The Rings of Akhaten which airs next Saturday April 6. The Doctor Who Twitter feed and Lizo Mzimba have tweeted confirmations that it is indeed true that David Tennant and Billie Piper will be back for the 50th Anniversary. The BBC officially confirms the return of David Tennant and Billie Piper for the 50th anniversary @bbcdoctorwho special. 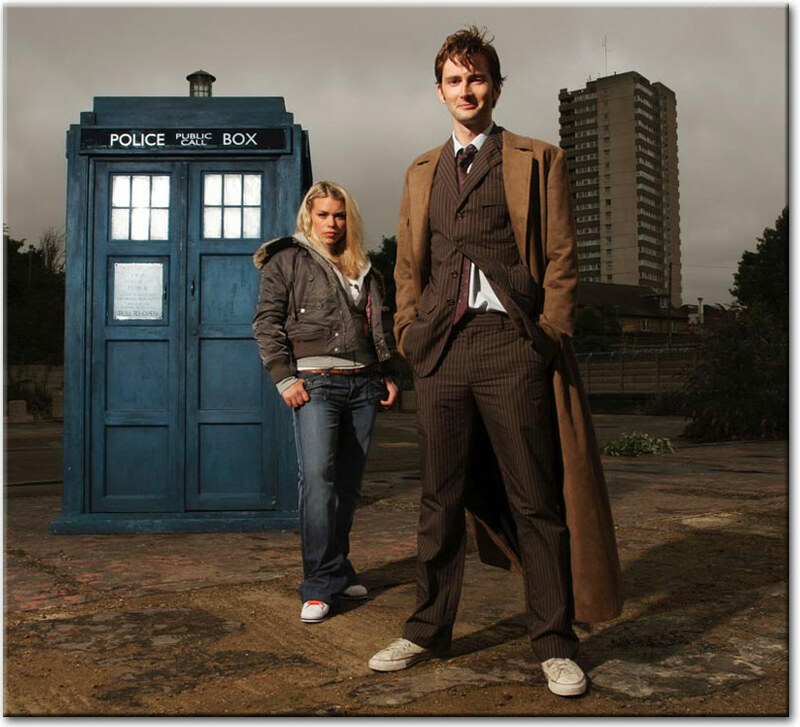 David Tennant and Billie Piper Returning For Doctor Who 50th Anniversary??? Blogtor Who has an article up stating that Doctor Who Magazine has confirmed that David Tennant and Billie Piper will be returning to Doctor Who for the 50th Anniversary. He is a pretty accurate and a trust worthy site and never posts stuff that isn't true so this rumor is probably legit. The article also says the special will be 90 minutes long and that John Hurt will be in it as well. 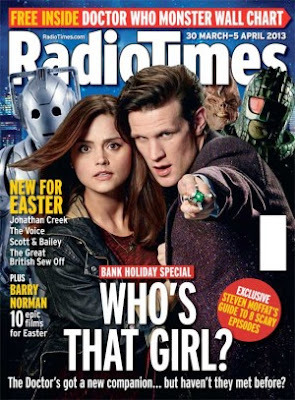 More news when the official statement is released and by the way Doctor Who Magazine comes out April 4th. Pretty exciting news if it is all true. 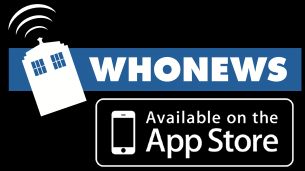 It is starting to make the rounds from reliable news sites and there is even a clipping of the magazine over at our friends Life, Doctor Who & Combom site. Its definitely official. 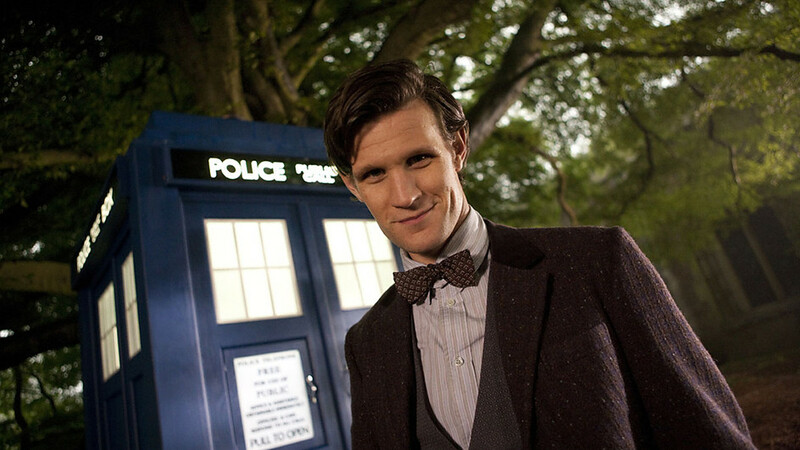 With Doctor Who back on our televisions Saturday everyone is getting excited for its return. 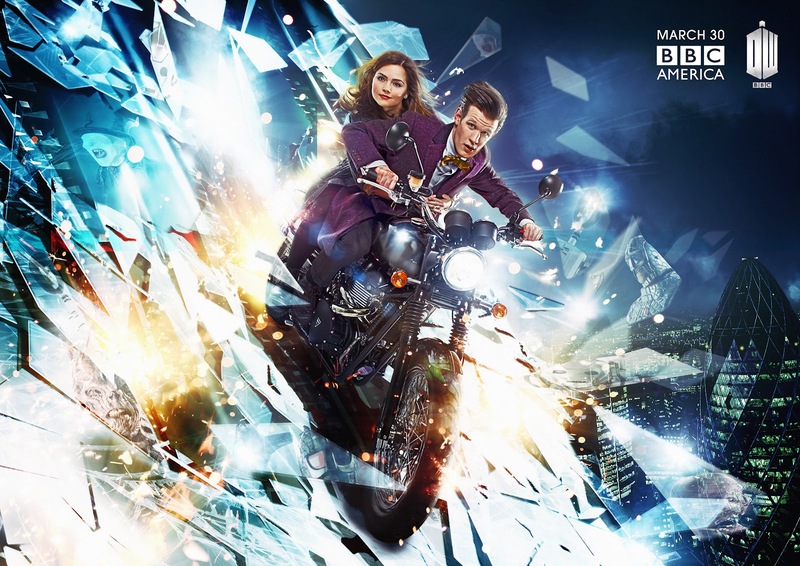 We have The Doctor getting a new companion in Clara played by Jenna – Louise Coleman and some returning villains during this run of series 7. 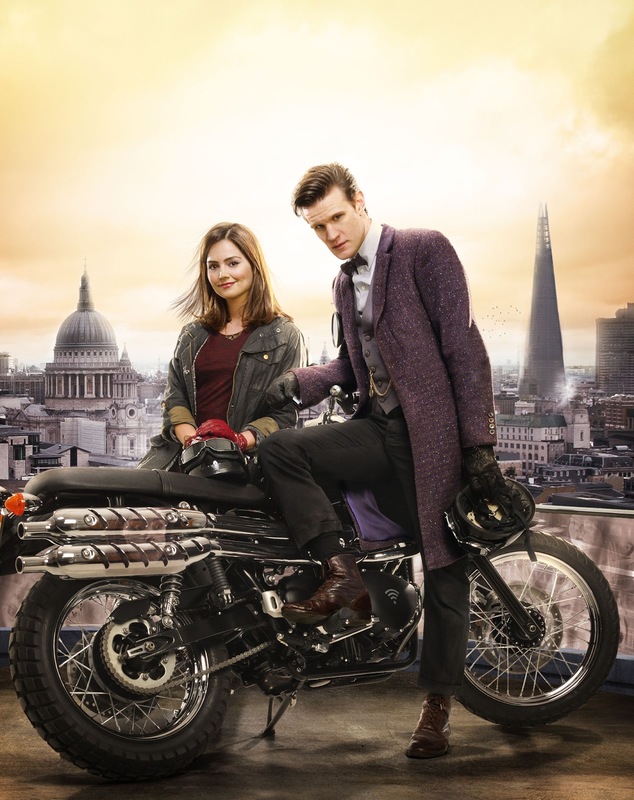 It all starts with The Bells of Saint John on Saturday a mere few hours away and Steven Moffat joined a press conference call, which I was lucky enough to be part of, to discuss The Bells of Saint John and the upcoming season. To start off with Steven Moffat was asked about Jenna and what she will bring to the series as Clara. The Hollywood Reporter has an interview up with Jenna - Louise Coleman where she talks about series 7 of Doctor Who. CBS Renews Sherlock Holmes Show "Elementary"
CBS has renewed the modern day adventure Sherlock Holmes Elementary for a 2nd season. The show has had strong ratings and quite the following so it was a no brainer that Elementary would be back this Fall. 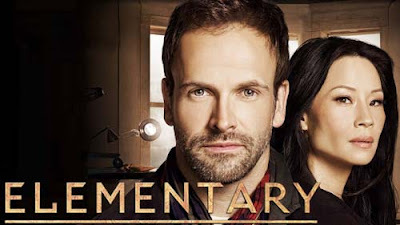 Elementary stars Jonny Lee Miller as Sherlock Holmes and Lucy Liu as Joan Watson and airs on Thursdays at 10PM EDT on CBS. "Failed? No, not really. You see, I know that although the Daleks will create havoc and destruction for millions of years, I know also that out of their evil must come something good." 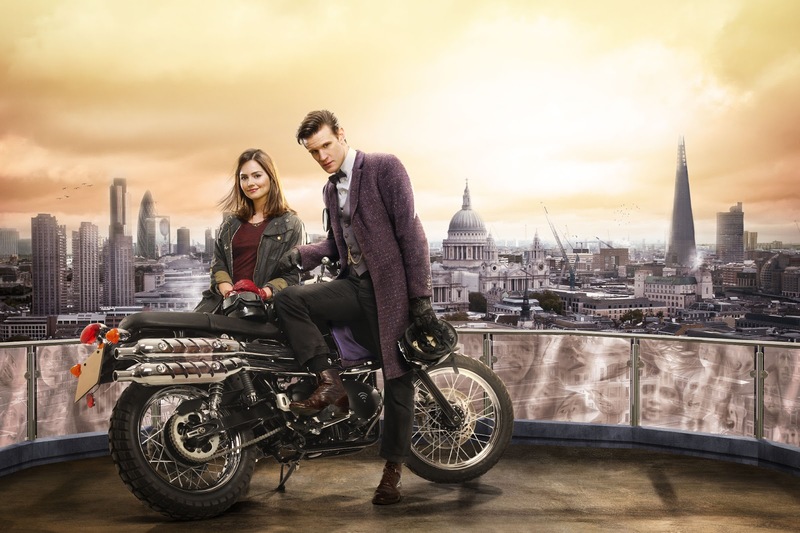 Season Twelve would prove to be a time of great change for Doctor Who. After the gradual fragmentation of the UNIT family during the Eleventh Season it fell to the incoming creative team of Robert Holmes and Philip Hinchcliffe to take the helm and usher in their gothic vision of Doctor Who, a regeneration of sorts; which would go on to be regarded as one of the most successful periods in the programmes history. With the transitional comedy of Robot out of the way, Hinchcliffe and Holmes could at last cast away the trappings of Season Eleven and finally get to work on developing scripts more akin to their new direction for the programme. Coming in at only twenty episodes, Season Twelve was shaping up to be, up to that point, one of the shortest seasons of Doctor Who ever produced. This led to some extremely clever budget saving ideas; allowing sets to be re-cycled for two of the stories as they were set in the same location, albeit in different time zones, as well some extensive location shooting. 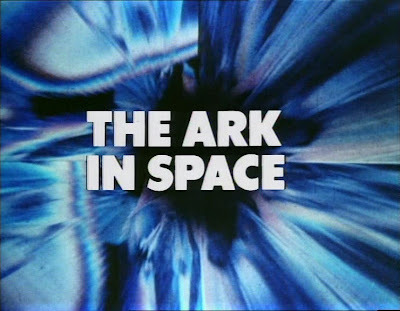 Another unique feature was the linking theme which ran from The Ark In Space to Revenge Of The Cybermen, which created an intriguing, and tightly plotted, narrative between episodes. 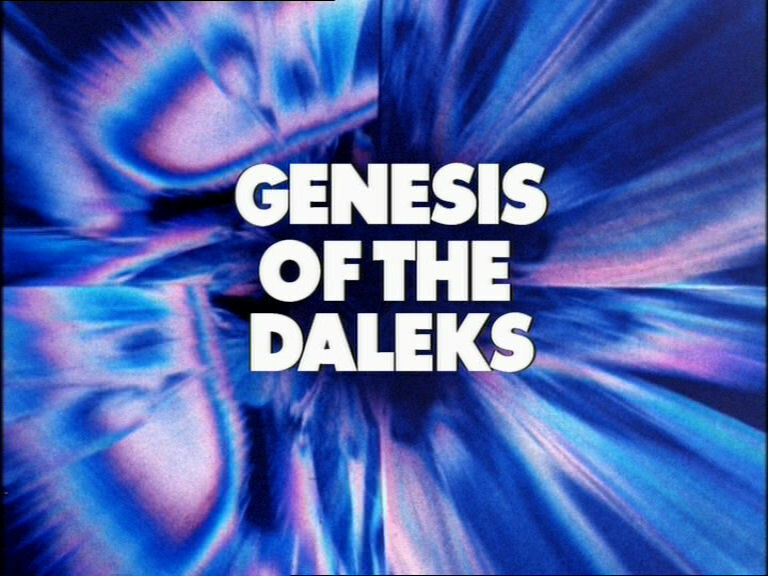 However, there is one story which rests firmly at the heart of this aforementioned mini-trilogy that has become as synonymous with Doctor Who as the TARDIS itself - Genesis Of The Daleks. Genesis Of The Daleks sees the Doctor (Tom Baker) and his companions, intrepid reporter Sarah Jane Smith (Elizabeth Sladen) and the dependable Harry Sullivan (Ian Marter), whisked off by the Time Lords on a mission to prevent the creation of the Daleks - having foreseen a time where the Daleks might one day become a threat to the entire universe. 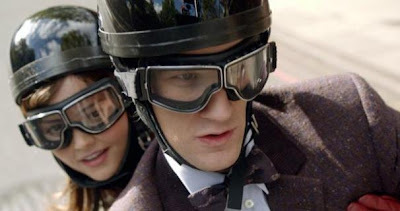 The Doctor is given a Time Ring to transport them back to the TARDIS once their mission is complete, then they are cast back through time to the planet Skaro, arriving in the barren wastelands at the most critical juncture in the Thal/Kaled War of attrition. Two New Clips From Doctor Who "The Bells of Saint John"
Here are two more clips to get you all excited and psyched for the new episode on Saturday. Yes they work even though the screen is grey. Announced today Doctor Who won an Institutional Peabody for evolving with technology and the times like nothing else in the known television. The Peabody is an award that recognizes the achievement and service by various broadcasters, cable and Webcasters, producing organizations, and individuals. The award is part of the University of Georgia and is named after George Foster Peabody. 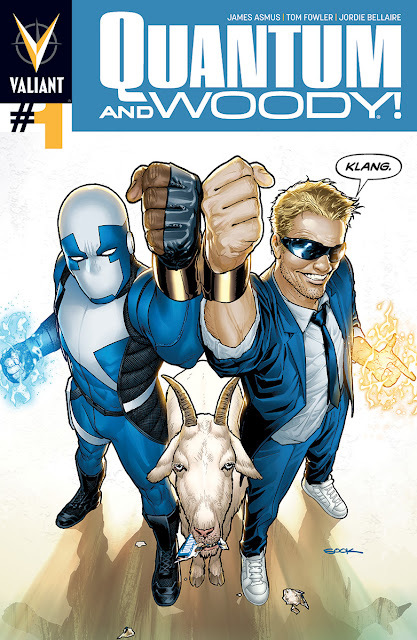 Valiant Brings Back Quantum and Woody!!!! Valient is bringing back the worlds worst superhero team this July as Quantum and Woody get there own book again. The creative team on the book will be writer James Asmus and on art duties will be Tom Fowler. The book will be out July 10th and it promises to be all out action and mayhem and yes there will be a goat in it also. This trailer looks really good and it looks like Wolverine fans might actually get the movie they have been waiting for. 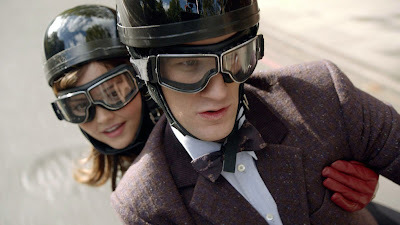 Matt and Jenna Introduce Doctor Who "The Bells of Saint John"
After the events on space station Nerva The Doctor, Harry and Sarah Jane have transmated to Earth to fix the faulty transmat component. They soon realize that they are not alone on Earth a planet that is supposed to be deserted. Harry and Sarah decide to go and investigate and as you would know Harry falls down a hole that was covered up as if it was a trap but a trap for whom? Sarah decides to go and get help but runs into Roth who says they are being experimented on. Meanwhile The Doctor hears a scream and goes and investigates. What the Doctor doesn’t know that the man he finds dead was fleeing a robot that is sent out to capture the humans to be experimented on by his master. 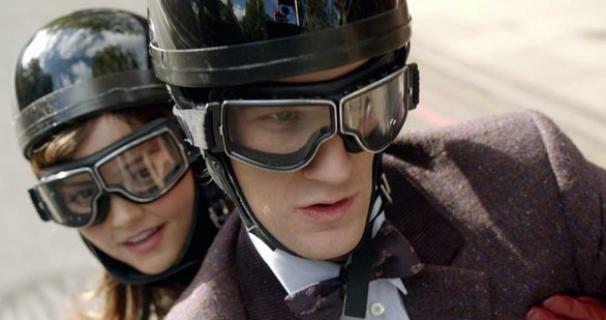 The Doctor is then accused by the rest of the crew that had crashed on Earth. The Doctor tries and explains that he is from Nerva but to no avail. Sarah and Roth end up freeing The Doctor and head for the hole Harry fell in. Harry is no longer there as he found a way out of the hole. The Doctor ends up falling in himself and finds the way out that Harry found. The robot then captures Sarah and Roth and brings them into and to the being that is doing the experiments. 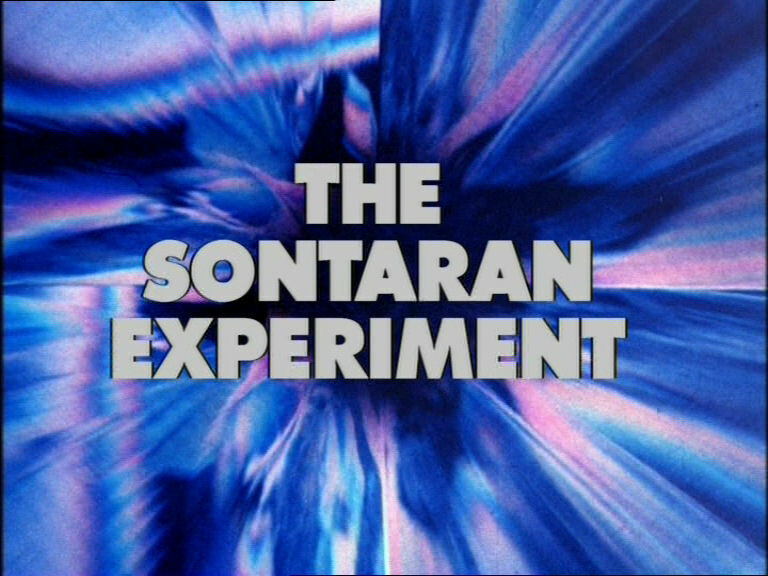 To Sarah’s horror it is a Sontaran that is doing the experiments and he is doing this as research for the Sontaran invasion fleet. MTV has a Wolverine Teaser to help get the frenzy going before the full length trailer hits tomorrow. 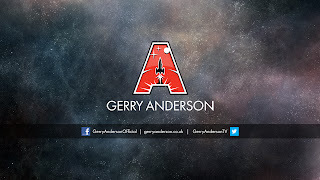 Just this week a new Gerry Anderson website was revealed that promises exciting looks into the past but also new projects. There have been some rumors and news already on what they might be. Already reported that WETA is working on a new Thunderbirds TV series. Instead of a quick trip to the moon thanks to Harry messing with the helmic regulator they instead land on space station Nerva way in the far future. But The Doctor discovers they are not the first visitors to Nerva as they discover some sheared wires and the oxygen off. The Doctor gets all this fixed including the defense mechanism which is shooting electric bolts at them. 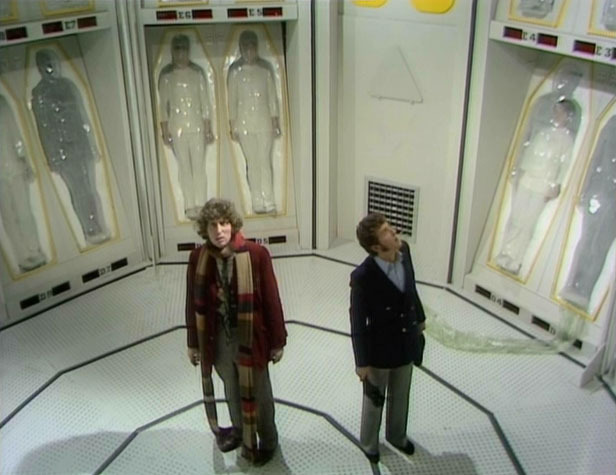 While The Doctor and Harry are pinned down Sarah is resting on a bed that also gets you ready for cryogenic sleep. After shutting down the defenses the realize Sarah has been transported somewhere and start searching for her when they stumble upon the humans that are asleep waiting to awake to habitat Earth and start life anew. Among them is now Sarah as The Doctor and Harry discover and they are trying to find the device to revive her. While looking for the device Harry comes upon something really nasty in the storage cabinet. It’s a Wirrn and it’s a nasty insect like race that absorbs the mind of those it kills or infects. At this time others have started waking up. Vira and Noah have woken and they are in charge of reviving everyone. But Noah is leery of The Doctor and goes off to stop him from restoring the power to Nerva. 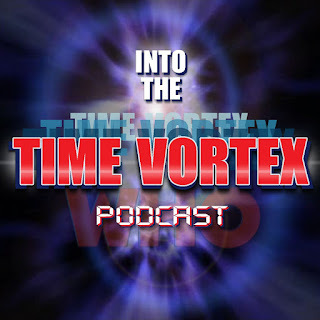 After knocking The Doctor out the Wirrn grub infects Noah and thus endangers the revival of the human race as the Wirrn now will take over unless The Doctor can find a way of stopping them. USA Amazon and iTunes has released this video that explains how Starx survived The Battle of Demons Run. You can download it at this link if not just watch it below. New Promo Pics For Doctor Who "The Bells of Saint John"
Here are a couple more promo pics for the Bells of Saint John. Nothing fancy this time just a shot of them posing. Here is the new Radio Times cover and yet again Doctor Who graces the TV Listing Magazine. 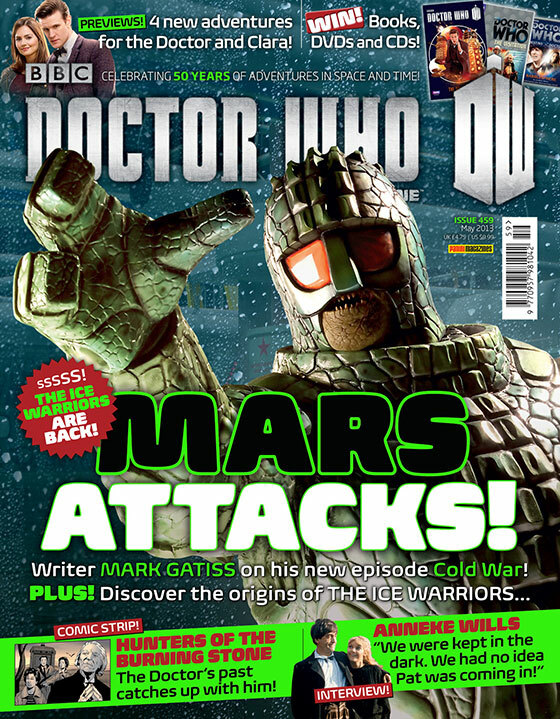 Doctor Who Magazine has released the confirmed the rest of Series 7 episode titles for stories 7 to 13 (episodes 1 - 6 aired in September and at Christmas) while story 14 is still a mystery. There was one story that had its title change and that would be the Neil Gaiman Cybermen story as it is no longer The Last Cyberman. The first four we already know as we have seen the movie style photos for them. 14. TBA - still a secret! The newly regenerated Doctor is sent to the infirmary and to the care of Lieutenant Harry Sullivan. The Doctor seems a bit out of it since he regenerated after battling the Spiders of Metabillis 3 and while he is recuperating Sarah Jane asks The Brigadier for a pass to Think Tank. Think Tank is a place where scientists are working on new inventions to help out the human race. Sarah Jane has her suspicions about Think Tank and wants to poke around and see if she can find something out. Meanwhile plans and components to make a disintegrator gun have been getting stolen. The thing is no one knows who is stealing the components but whoever it maybe is really big and heavy as during its escape it left quite the footprint in the ground. While snooping around Think Tank Sarah Jane slips on what could be oil on the floor. She gets thinking about the robotics that was explained to her and decides to take a side trip to see Professor Kettlewell. He explains to Sarah that the Robot he was working on was dismantled and is not still in operation. 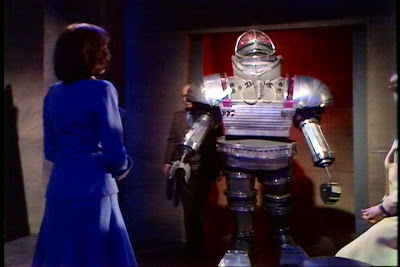 Sarah Jane then returns to Think Tank and there she is confronted by a Robot. 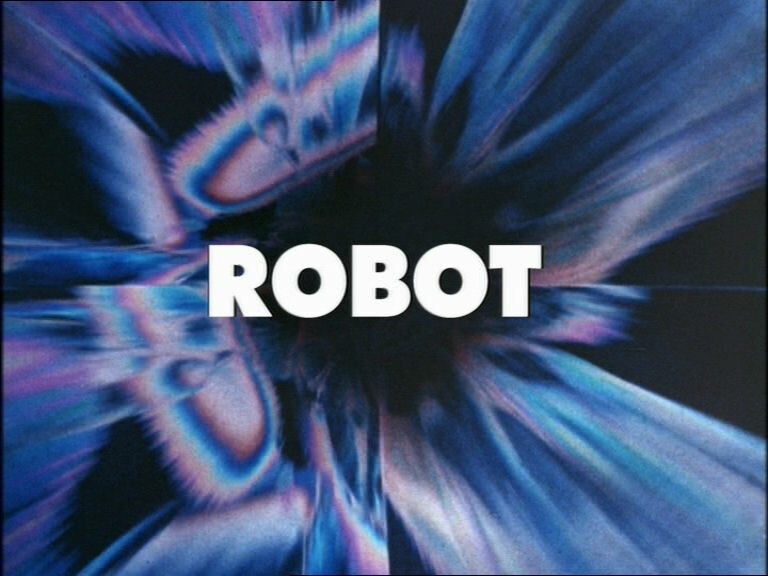 In fact the one Robot that has been responsible for all the robberies and doing it all for the Scientific Reform Society. Do you remember Thunderbirds? Captain Scarlet? UFO? Space: 1999? They were all created by Gerry Anderson and a new website has been launched focusing on his many productions. 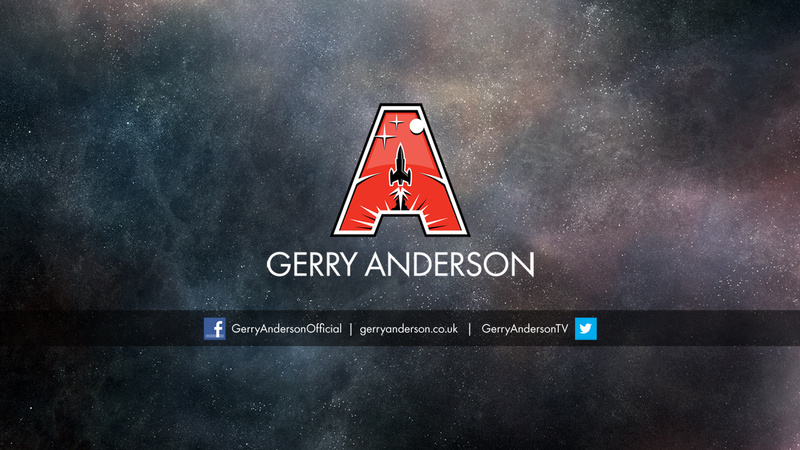 Jamie Anderson, Gerry Anderson's son, has helped set up a new official Gerry Anderson website in memory of his dad who passed away in December, 2012. 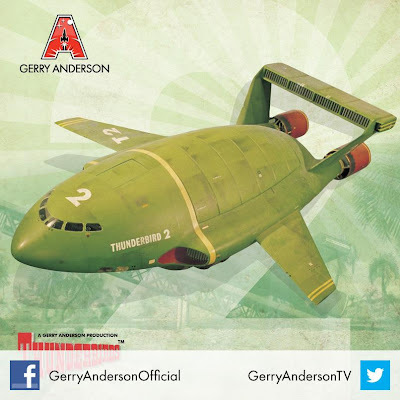 The site promises some unique material and will have updates on some exciting new projects that many or may not include the new Thunderbirds remake. 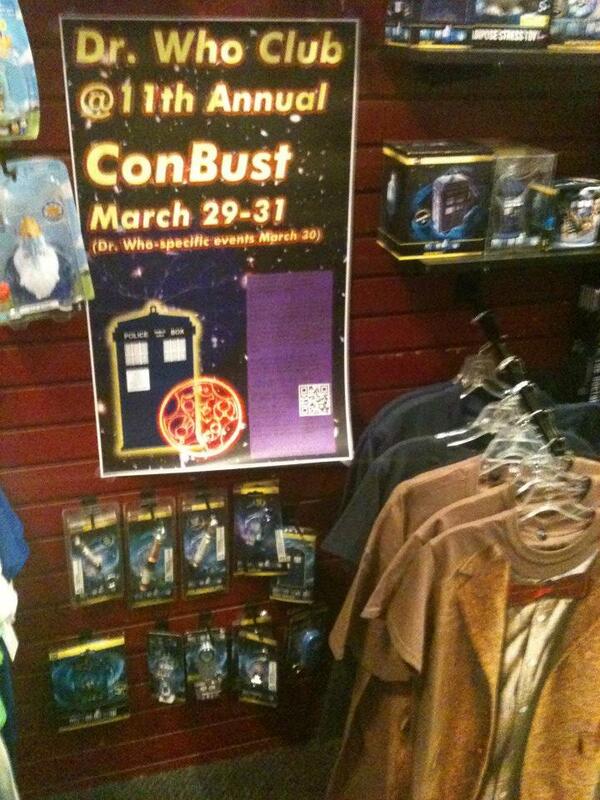 ConBust is a convention for multiple geekdoms, such as sci-fi, fantasy, anime, and gaming. It's presented by the Smith Science Fiction and Fantasy Society at Smith College in Northampton, Massachusetts. There will be panel presentations, workshops, an array of featured speakers, movie and anime showings, and vendor and artist markets. What sets this apart from other conventions? It's smaller than the giant conventions run in major cities and therefore doesn't have huge lines. The price is more affordable ($30 for the entire weekend, $12 or less per day, and discounts for high-school students, 5-college students/staff). 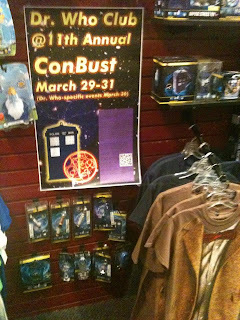 And most importantly, as you would hope for from an institution like Smith College with a strong feminist tradition (it is all female at the undergraduate level), ConBust celebrates the work of women in the various genres of geekdom covered at the event. This stands in stark contrast with how these realms are presented elsewhere. 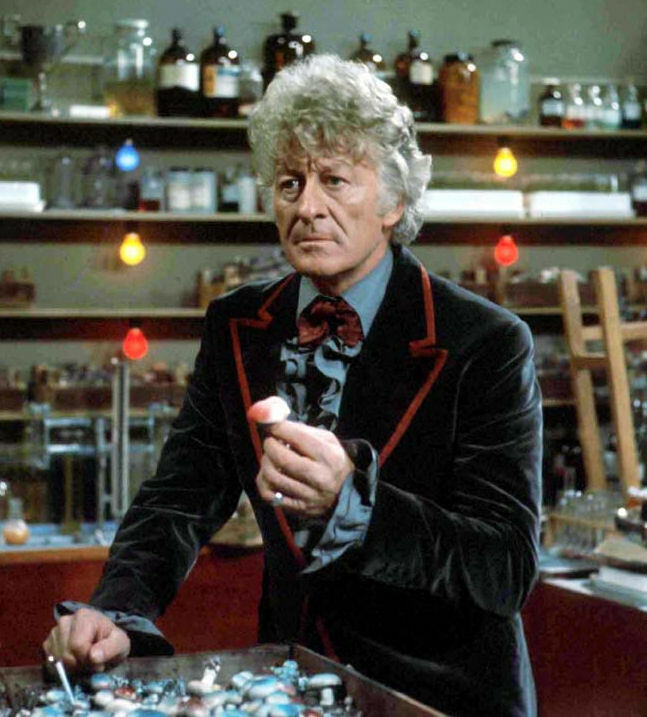 Jon Pertwee took over from Patrick Troughton and had the task of taking the show in a different direction and helped keep it going as it was almost canceled. I think we all know he succeeded in doing that. Plus he was The Doctor of action and his Doctor used his mind to come up with gadgets that helped in him saving the day from all the alien threats that happened. Jon Pertwee’s Doctor was bad tempered at times and quick to blow his stack but look at it from his point of view. He was exiled to Earth and lost the knowledge to operate the TARDIS and plus The Doctor had to deal with The Brigadier all the time. H Yes he can be quite rough at times but he also had a tender side one that you can see all the time he traveled with Jo. Yes he snapped at her, and frankly she did deserve it at times, but he really had a soft spot for her which was quite evident at the end of The Green Death. You knew by his reaction from Jo leaving him that he did and that makes the tough and gruff Time Lord a big softie at heart. 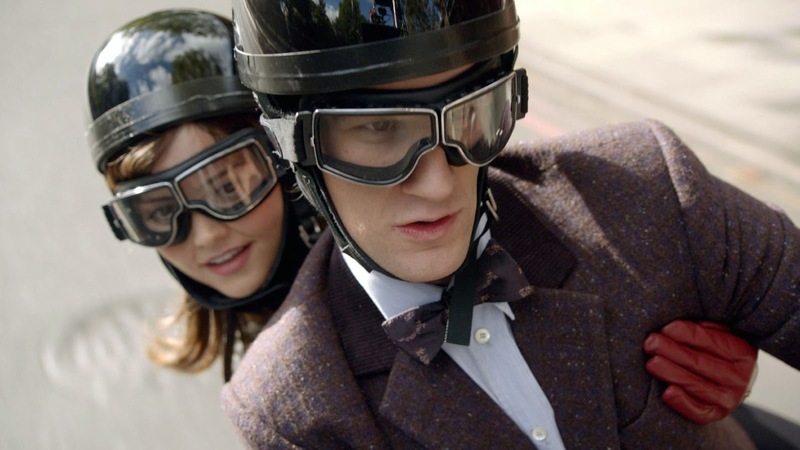 The Doctor, Jamie and Zoe have appeared to have landed on outpost on a planet that is orbiting a pulsar star. The scientists there are studying an ancient city that appears to have been abandoned. What makes its interesting is that they appear to be in a type of time field where time is going differently for those at the outpost. It appears that there is a being also on the outpost that is killing the crew members. The Doctor discovers that if the being touches you it makes you age rapidly and die instantly. So its up to The Doctor and a very peculiar message to help save the day and make sure no one else dies. I really enjoyed this release in the Destiny of the Doctor series that Big Finish and Audio Go have made for the 50th Anniversary. 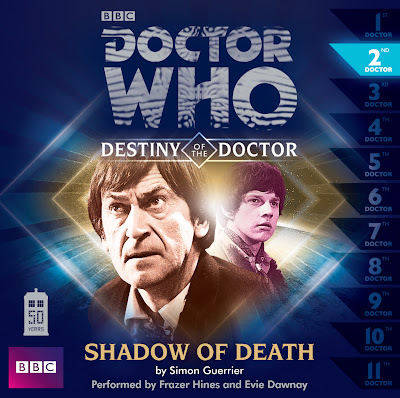 Shadow of Death was a really well written and very enjoyable to listen to as it held my interest throughout and I was very intrigued to find out what would happen next. I also liked the mystery of what the aliens wanted and why they were doing what they were doing what they were doing. What was really cool and a nod for us fans was the message that the 11th Doctor gave the 2nd. In the first story Hunters of Earth The Doctor received a message from a DJ over the radio. This time The Doctor receives his message from the psychic paper that was left like a note on the window of the outpost. It was a pretty cool moment as the 2nd Doctor and 11th Doctor meet very briefly. Definitely the best part of the entire story. One of the highlights of this CD is the performance of Frazer Hines. His performance as Patrick Troughton is spot on and is one of the best impersonations I have heard. It actually sounded like I was listening to the Second Doctor on this CD and not Frazer Hines acting as him. It was a really good performance and worth the price alone to listen to Frazer Hines as The Second Doctor. So far the Destiny of The Doctor series has been really good and spot on in recreating the eras of The Doctor the story pertains to. Even though the story is under 90 minutes on one disc it doesn’t feel like it is short as the action moves briskly. I have really enjoyed the first two entries in this series and am looking forward to hearing the story unfold in the coming months. Clip From Doctor Who "The Bells of Saint John"
Doctor Who Series 7B BBC America Trailer!!!! New Doctor Who Series 7B Trailer!!!! Star Wars Issue Number 3 Review. Trailer For NBC's New Drama "Hannibal"